the wilderness – Lizzy Acker! 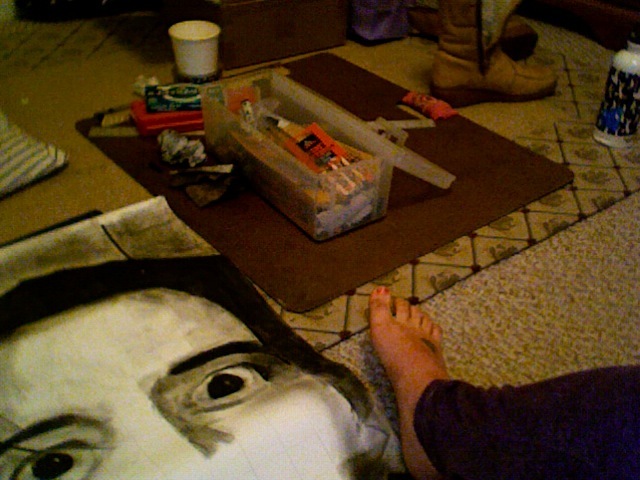 i’m doing an art project about me, egomania, my insanity and vampires. i plan to get rich and famous from it. this weekend was okay for a weekend. i did things: yoga. saw die antword at treasure island thanks to pete’s sweet connections (V.I.P.). today the medical exchange student and i went and feasted on korean bbq. 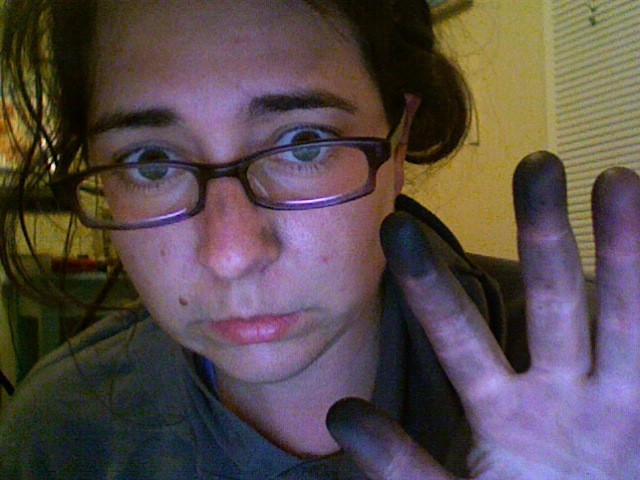 my whole body AND my computer are covered in charcoal and i am pretty sure i will have completely watched all of battlestar galactica by the end of the month. my great aunt frannie died last week. she was a pretty amazing lady and i am sorry she lived in florida and i barely got to see her. i know my grandma must be especially sad. i think the hardest part of being old is seeing your siblings die. i am not looking forward to many things about being old but that one especially. but then again, how lucky to live to be old and also have your brother or sister live to be old? i hope that that happens to me and when it does we are neighbors. i hope that by that time planes will be illegal and we will all ride bikes or horse-drawn carriages. so, i love you aunt frannie! goodnight.